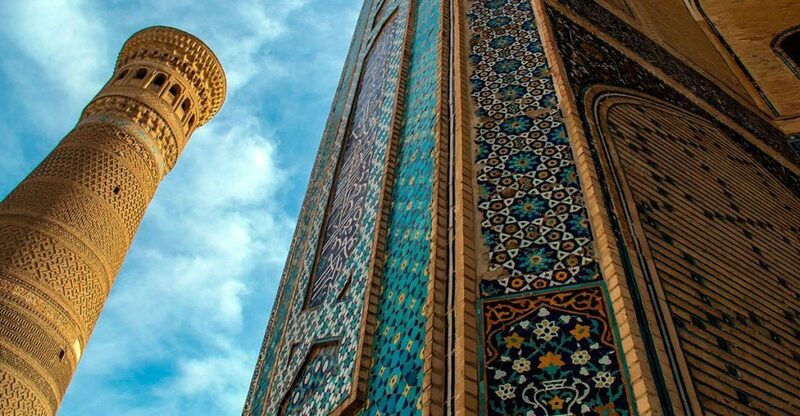 ASTANA – Since Shavkat Mirziyoyev came to power in 2016 after the death of Islam Karimov, Uzbekistan, the most populous country in Central Asia, has been witnessing significant changes both in domestic and foreign policy. The former Soviet republic has progressed significantly in the last two years following the 27 years of Karimov’s rule, affecting almost every sphere in the country of 34 million people. The changes include liberalising foreign economic activity; removing the peg from the U.S. dollar, a move that devalued the Uzbek som by 48 percent; abolishing the previously compulsory sale of foreign currency revenue and allowing full convertibility of the currency, among other initiatives. Increasing its international credibility, Uzbekistan signed agreements with foreign financial institutions, including the World Bank and the European Bank for Reconstruction and Development, that lent funds for the country’s development across many areas. For the first time, the Uzbek leader addressed the problem of torture, released political prisoners, removed approximately 18,000 people from the country’s security services blacklist, banned doctors’, teachers’ and students’ forced labour in cotton fields and, to a limited extent, loosened state control over the media. He also signed a decree abolishing the exit visa system which would have come into effect next year. Separated from the rest of the world for generations, Uzbekistan has embarked on rekindling its ties with neighbouring countries and other key partners, including China, Russia and the U.S., facilitating regional cooperation and boosting its economic potential. Opening the country was the “only path to consolidate the power and at the same time create an image of an open country with ambitious goals and plans,” noted Central Asia Institute for Strategic Studies head Anna Gussarova. “President Mirziyoyev has visited many countries in the neighbourhood and far abroad, meeting different political leaders. He started with an attempt to revise Uzbek-Tajik relations, the most challenging for the past years, and introduce peace and friendship narratives in conflict-prone border areas of Central Asia,” she said. In March, Mirziyoyev made a historic visit to Dushanbe, the first for an Uzbek President since 2002, meeting his counterpart President Emomali Rahmon and overseeing the signing of 27 agreements worth approximately $140 million, as the two countries also resumed direct flights linking the city and Tashkent in April 2017. The two countries set an ambitious goal to bring trade turnover to $5 billion by 2020. Gussarova believes Uzbekistan’s agenda is similar to Kazakhstan’s, its neighbor and largest economy in Central Asia. “The Uzbek foreign policy agenda includes Central Asia as well as introducing new investment partners and projects in the country. Interestingly, President Mirziyoyev’s agenda reminds one of President Nazarbayev’s motto ‘Economy first, politics second,’ with a multi-vector foreign policy which should boost political dialogue with key non-regional actors and international organisations to strengthen the Uzbek economic capacity and development goals,” she noted. Relations between Uzbekistan and Kyrgyzstan have also moved in a positive direction, said Emil Dzhuraev, an associate professor at the American University of Central Asia (AUCA) in Bishkek. “In the last years of Islam Karimov, relations between Uzbekistan and Kyrgyzstan were very bad; perhaps, they were even worse than Uzbek-Tajik relations. If we compare before and after, it is clear how relations between the countries changed tremendously in a positive way. Since the first days of Mirziyoyev coming to power, he showed positive signals right away and was open to dialogue and promised to solve disagreements between the countries in a constructive way,” he said. “Disagreement over disputed areas fed political manipulation of bilateral relations. What has been happening during the last two years is very intensive and frequent discussions and meetings of the intergovernmental commission in an effort to settle the border issues,” he added. Dzhuraev believes regional cooperation and integration are now far more present on the agenda. “The new government in Uzbekistan and the subsequently increasing openness of the country to its neighbours and the region very seriously changed the situation in the region and as all can see, people start to bring up regional cooperation and even regional integration more frequently and more seriously,” he said. “The fact that leaders of all Central Asian countries gathered not for the first time in the last two years in a narrow format gives in itself serious ground to think that the ice has broken and the door is open to a serious discussion of common regional interests. If we assess to what extent the openness of Uzbekistan is important for the region, it cannot be stressed enough,” he added. “When we talk about very important geopolitical phenomena, such as the Chinese Belt and Road Initiative, Eurasian integration led by Russia and other developments, for each and every country in Central Asia it is very important to have, if not a support, at least common interests with neighbouring countries,” he said. The potential for regional cooperation is high. “Inside the region itself, there could be more opportunities for trade and economic development because the market is growing bigger than before and it is also very important,” he added. Dzhuraev also spoke about the challenges facing the region, including border disagreement, security with a common concern about Afghanistan and its deteriorating situation, and managing water and other natural resources. “Also, [there are] very difficult relations with our giant neighbour – China. On one side, all countries have quite serious and fast-growing economic relations and on the other, quite difficult political ties. I mean geopolitical disagreements in regard to Xinjiang and quite recently in the form of disagreements that can occur between China and Kazakhstan and all other countries in terms of how the process of political re-education of the Muslim communities is going on, primarily for Muslim Uighurs, but also others. I believe it will be a common difficulty that is better to discuss together,” the Kyrgyz scholar said. Gussarova noted Uzbekistan can play the role of a mediator in the region. “Uzbekistan could boost regional cooperation and finally bring Afghanistan to Central Asia as a mediator in peace talks with the Taliban, the Afghan government, the United States and the Russian Federation,” she said. Optimism and hope are in the air, yet questions remain. “How long would it take him [Mirziyoyev] to change the country? As we all acknowledge, changes are always painful. The issue is whether those changes will be cosmetic or rather deep and feasible. Finally, it is not clear what Uzbekistan wants to achieve and what Central Asian countries want Uzbekistan to be,” she added.